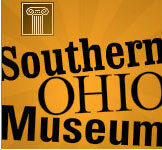 The museum first opened its doors on February 1, 1922, as the Akron Art Institute. It was located in two borrowed rooms in the basement of the public library. The Institute offered classes in arts appreciation which were organized by Edwin Coupland Shaw and his wife Jennifer Bond Shaw. It has grown considerably since that time. The new museum was open to the public on July 17, 2007, and hosts visiting shows from national and international collections. For more than 90 years, The Dayton Art Institute has been committed to enriching lives and serving the community by creating meaningful experiences with art. We invite you to explore our website to learn more about our diverse permanent collection, world-class special exhibitions, concerts, family programs, art classes, social events and more. Join our online community and let us know how art has changed your life. Art changes lives…live it at The Dayton Art Institute. One of the oldest arts institutions in the United States, the Cincinnati Art Museum has a rich collection of more than sixty thousand works of art, spanning six thousand years. This unique collection includes the ancient art of Egypt, Greece, and Rome as well as Near and Far Eastern art, art of Africa and the Americas, costume and textiles, prints, drawings, photographs, paintings, sculpture, decorative art, and contemporary art. Since 1983, the museum has assembled a small, carefully selected collection of fine art photography covering the history of the medium that began in 1839. It represents many of the major movements and inventive practitioners. Strengths of the collection are its early 19th-century images by many pioneering figures, especially French, English, and American photographers; pictorial photography with complete sets of The North American Indian by Edward S. Curtis and Camera Work; surrealist photography created primarily between the two world wars; and Cleveland-specific subject matter produced by regional and national photographers. The collection also includes extensive examples of post-1970 photography. Cleveland’s Museum of Contemporary Art (MOCA) plays an urgent and exciting role in the city's cultural landscape. As a non-collecting institution and the region’s only contemporary art museum, MOCA is ever-changing, introducing new exhibitions three times a year and creating fresh experiences for visitors each season. Since its founding in 1968, MOCA has presented the works of more than 2,000 artists to our region, often through artists’ first solo shows. MOCA acts as both conduit and catalyst for anyone seeking creativity and inspiration. 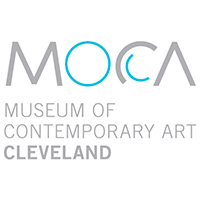 For 45 years, MOCA, Northeast Ohio’s only contemporary art museum, has brought the art and ideas of our time to Cleveland and beyond. MOCA was the first in the region to exhibit the works of vanguard artists like Andy Warhol, Jasper Johns, Laurie Anderson, Roy Lichtenstein, and Christo; and we continue to bring the work of emerging and established regional, national, and international artists to our area. The museum had historically focused on European and American art up through the early modern period, but in recent years has branched into more contemporary art exhibits and a permanent photography collection. Highlights of its permanent collection include early Cubist paintings by Picasso and Juan Gris, and works by Cézanne, Boucher, Ingres, Degas, Matisse, Monet, Edward Hopper, and Norman Rockwell. The Museum also has a substantial collection of paintings by Columbus native George Bellows. Its photography collection includes works by Berenice Abbott and Eugène Atget. At this time the collection encompasses approximately 100,000 objects in 94 categories. Included among the 94 categories are paintings and prints, ceramics, glass, photographs, textiles, costumes, military artifacts, city records, agricultural equipment, Native American objects, quilts, books, musical instruments, medical equipment, furniture, toys, household equipment, circus memorabilia, and many other items. The largest collections in the Massillon Museum are photographs, household artifacts, costumes, china, glass, pottery and circus memorabilia. The Museum's barnraising photograph, taken by Theodore C. Teeple in the 1880s on the site of present-day Shady Hollow Country Club's clubhouse, has been used all over the world: murals in embassies and art centers, the cover of the national United Way annual report, re-enacted as a float in the Rose Bowl Parade, in textbooks of many languages, and as a poster promoting the U.S. Postal Service voluntarism stamp. The Allen Memorial Art Museum has an outstanding collection of nearly 14,000 works of art – including paintings, sculpture, decorative arts, prints, drawings and photographs – that provide a comprehensive overview of the history of art from a variety of cultures. The collection is particularly strong in European and American paintings and sculpture from the 15th century to today, and has important holdings of Asian paintings, scrolls, sculpture and decorative art, including a large group of ukiyo-e prints. High-quality African, Pre-Columbian, and ancient art is also represented. The museum also houses the Eva Hesse archives, which includes the artist’s notebooks, diaries, photographs and letters, and is proud to oversee, along with the Art Department, Frank Lloyd Wright’s Weltzheimer/Johnson House. The Carl Ackerman Collection, more than 10,000 historic local photographs archived at the museum, is an endless resource for thematic exhibitions in the Burton Room. Cataloguing of the collection is ongoing, but more than 6300 images have already been digitized for direct public access. For researchers of local history, museum staff may be able to locate additional images from the collection.